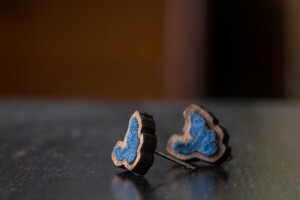 New item now in stock – Lake Merritt Stud earrings! This is the first of hopefully more pieces that feature a multiple different types of sustainable materials. 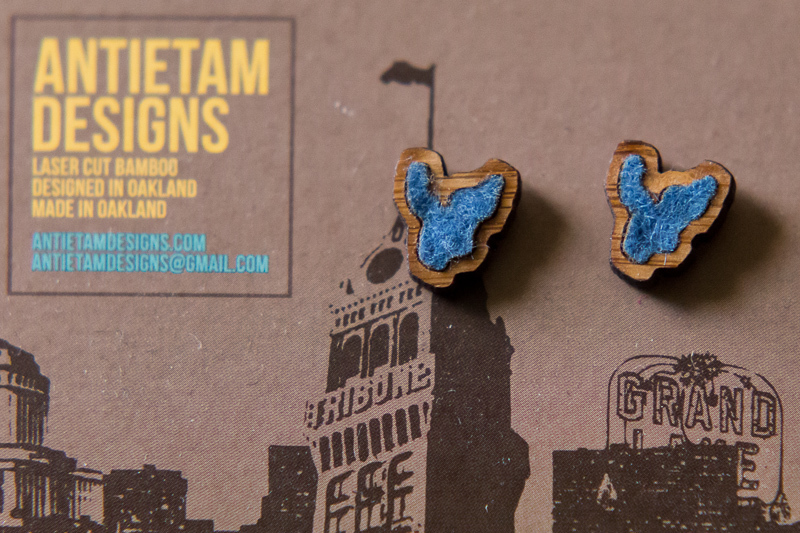 These studs were made based on an outline of Lake Merritt. The inlaid felt is 100% wool and the outline is made of bamboo. They are attached to a sterling silver ear post. Now available in our online store and at Oaklandish! 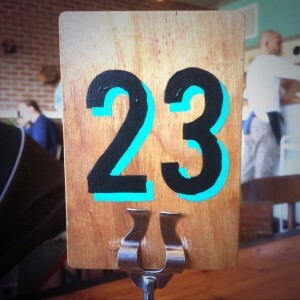 Delicious bagels at Beauty’s Bagel shop on Telegraph Ave in Oakland and nice hand painted number signs. 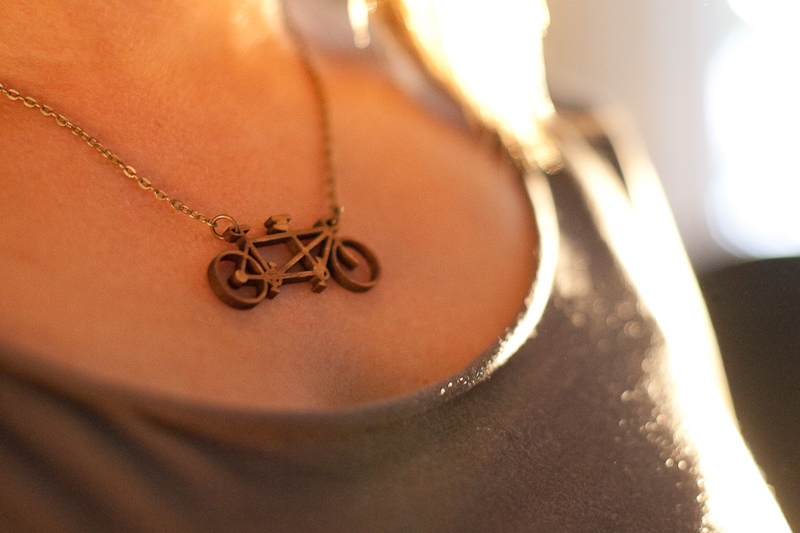 We are offering a coupon code that gives you 20% off of our bamboo tandem bicycle necklace! 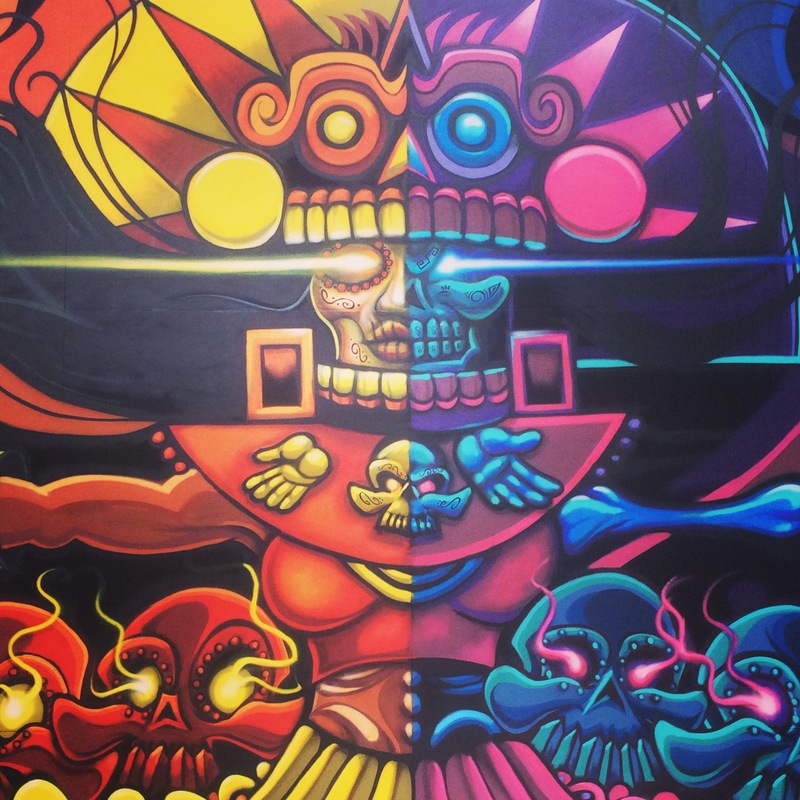 Enter coupon code TANDEM20 at checkout to get your discount. This offer expires December 18th, 2014. I stopped into the Oakland Supply Co the other day. It’s beautifully-curated and decorated as usual. 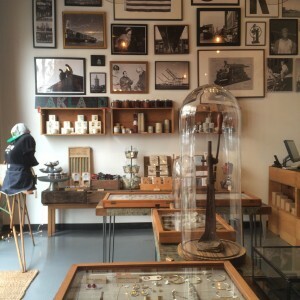 Nice local goods and accents. The Oakland Supply Co is located at 3rd and Harrison St in Jack London Square. It’s near Public Bikes, Chop Bar and the Amtrak station. Stop in there and take a look if you haven’t already been. 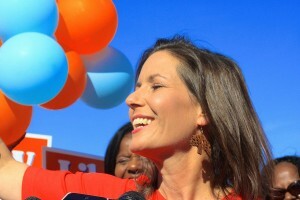 Oakland’s new mayor-elect Libby Schaaf has been wearing our Oakland Tree Earrings for a while now on the campaign trail. She wore them when she got Jerry Brown’s endorsement, she wore them last night at her election party, and then again at her celebration party! 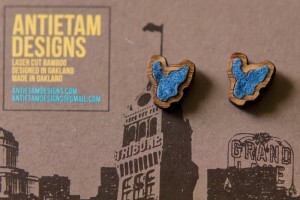 When I asked her about them, she said she bought them from the fine folks at Oaklandish. Well hey! Looks like she was wearing our necklace too!